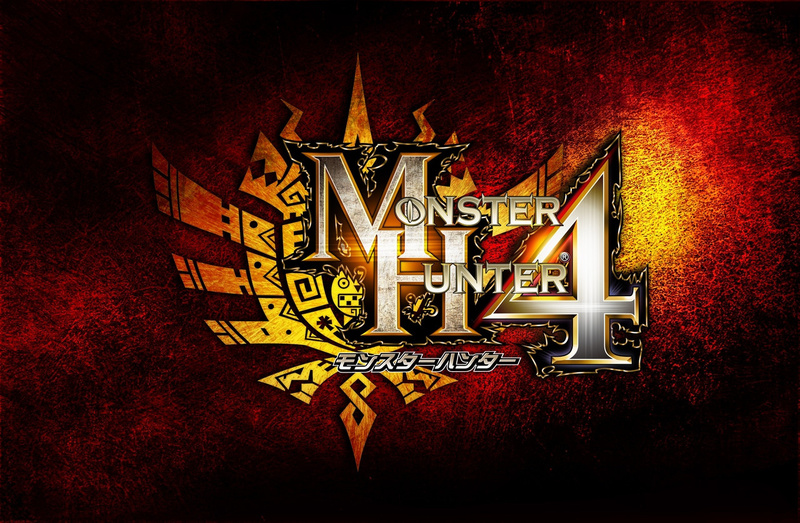 Monster Hunter 4 is the latest and greatest in Capcom’s endlessly popular series of wildlife-bothering games, bringing even more areas to explore and new monsters to turn into breastplates and boots. Thankfully hunters come prepared for these new challenges with two new weapon types and the all-new ability to mount larger enemies and deal them massive damage. Once you’ve created your chosen hunter and their Felyne companion it’s time to grit your teeth and make your way through the often-dreaded tutorial section. 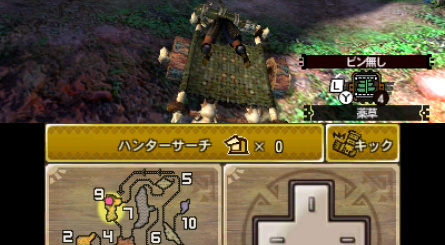 The pleasant surprise is that Monster Hunter 4 refuses to give you dreary busywork and instead has the sand ship you’re on under attack from an enormous new elder dragon: Daren Moran. One hat rescue later and you’ve learnt everything from camera controls to cannon firing in the most painless way possible and are all fired up and ready to start doing some real monster hunting the instant the impressive CG sequence ends. 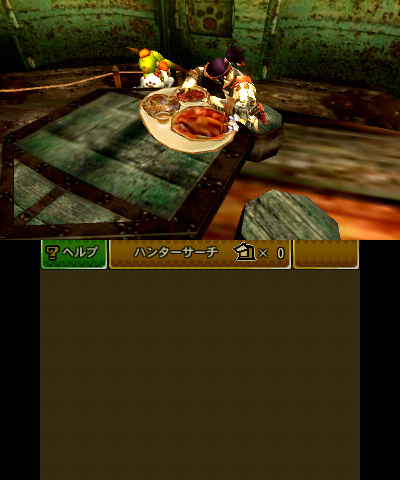 As with all other Monster Hunter games, the town acts as a hub and is where you’ll create or buy new equipment, eat food cooked by Felyne chefs and take on new quests. Balbare is the first place you visit after the Daren Moran attack on your sand ship, and is the place where you'll find your feet as a hunter. The initial quests are pretty run of the mill — just a few simple hunting and gathering tasks to ease you into the action and to help you become more familiar with the new Ruins Plain area before you’re required to attack anything really dangerous. Impatient or experienced hunters will be happy to learn that it doesn't take very long at all to tackle bigger prey once the new players have been set off on their way. 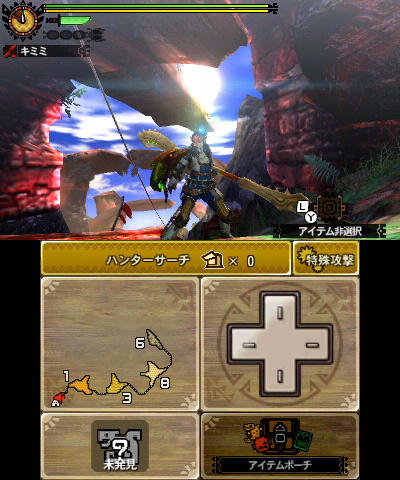 The new Insect Staff and Charge Axe weapon types bringing new tactics even to well-hunted foes like the good old Yian Kut-Ku. 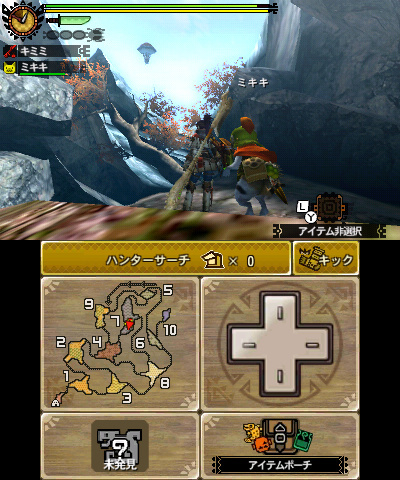 Hunters who like to tackle bigger adversaries can find even tougher challenges through download quests, and even this early on in the game's lifespan there are already pages of special event and challenge battles against groups of some of the toughest dragons and wyverns in the entire series. 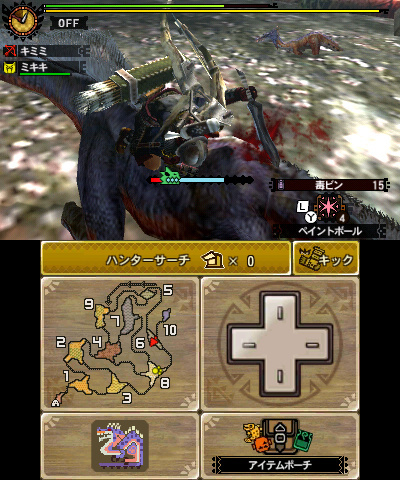 Monster Hunter 4 is yet another hit in an already flawless series and balances the old and the new well. Newcomers will find a game that takes care to explain the basics in a practical way with brief snippets of advice coming as the situation arises rather than info-dumped all at once before the quest starts and forgotten soon after. Experienced fans have some very interesting new weaponry to play with in unfamiliar territory and will no doubt enjoy making use of the new mount mechanic on both old and new enemies. This is a deep game that isn't afraid to test long-time fans to their limits but at the same time takes care to not alienate those less skilled or less knowledgeable with the series, either. 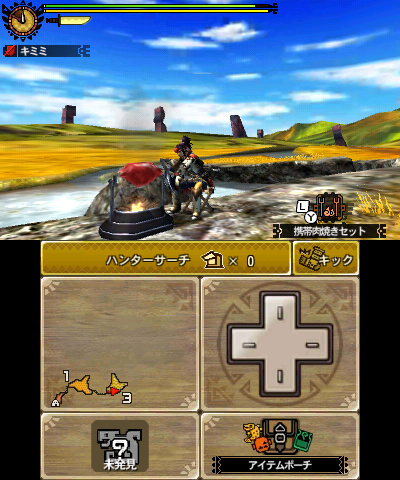 Rewarding and enjoyable whether you've got thirty minutes or three hours to spare, Monster Hunter 4 is without doubt a crown jewel in the 3DS’ library. 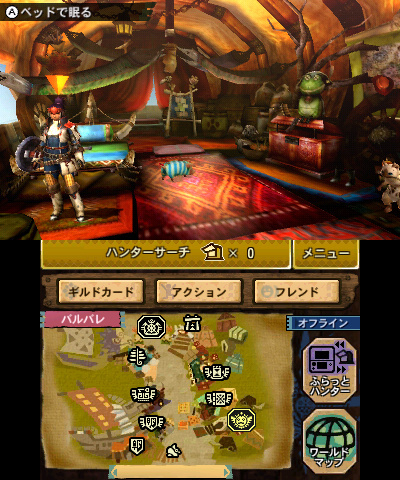 We'll be revisiting Monster Hunter 4 a lot this year, feeding you information about the game right up to its (still unannounced) western release. Keep your eyes peeled. Great read. Looking forward to Capcom's announcing localization of this for the West during this year. This needs to come to NA ASAP!!! Maybe by reading these pieces I'll finally be bothered to actually play Monster Hunter 3 Ultimate on the Wii U. I traded my copy of Arkham City Armored Edition for it last year, but the release schedule since then hasn't let me actually find time to go through it. Most anticipated game of 2014! At least it better be 2014. Wonder if Capcom will go digital only for this like Ace Attorney?! This articles....such a tease. But if the next few articles can cover things like the new environments and new weapons and how they handle that would be cool, also that new bug monster type. I made one resolution this new year. To not buy any video games. My backlog is over 100 and I receive free games via ps plus, games for gold and club Nintendo. If this gets released in the US this year, I will be buying at least one game. I could wait on Mario Kart or Smash, but knowing that fellow hunters are leveling up on a new MH while I plow through a 3 year old xbox360 game would kill me. 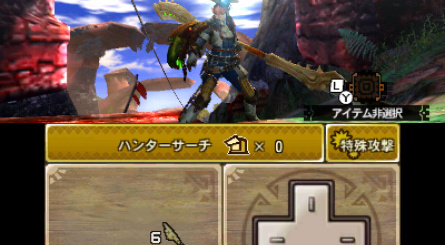 Every time I make a resolution to have a break from MH3U (as after sinking 300 hours into one game I feel as though I should play something else) a new monster hunter story comes out and I go and boot it up again for another few weeks! Don't think i'll ever take the time to bother with any Japanese for a game. I would buy it if it ever came to Europe though. I got excited for this article until I realized it wasn't a "this is when it's come'n to NA!" article. That made my heart-shaped place hurt a little. @ICHIkatakuri I love MH3U. I haven't played it in months however. But when I do I'm sure I'll get hooked all over again. Same time happened in Tri. I played for about 400 hours and forced myself to put it away. Time went by, decided to boot it up again and I poured 200 more hours into it. 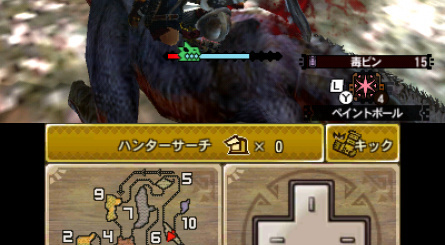 These MH games are dangerous. Time to put that LTE | Mobile Multiplayer to the test. Capcom have (paid) employed a Monster Hunter Community Officer for the West. . 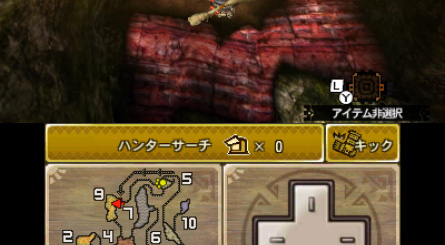 They would not be doing this if they were not planning on bringing MH4 to the West. . . . 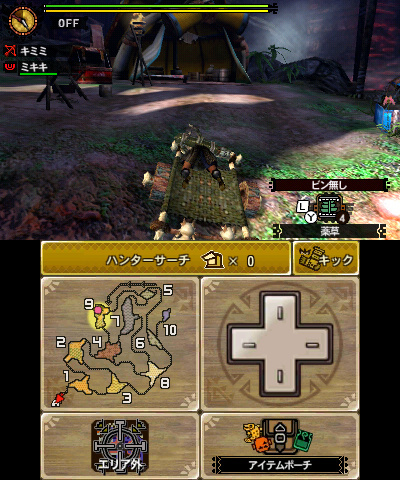 I put more than 400 hours in MH3U on my 3DS and really hope this is coming to the west. As with everyone, I am dying for a western release! 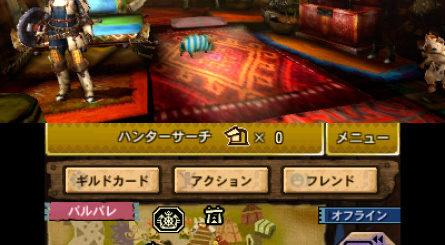 I too put in 500ish hours in Monster Hunter 3 Ultimate... so my body and mind are ready for this! @Windy Well obviously 1 called Monster Hunter Ultimate. You just picked up the wrong version, that's all. 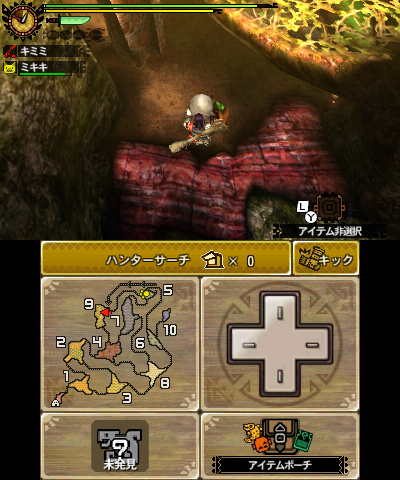 I've logged 740+ hours in MH3U 3DS and still going. I've succeeded up to 8* port quests solo (except 1* which I did with a group). I need 1 more Allfire Stone to complete the Gold Rathian gunner armor set (waist). This game took hold of me back in April and I've been playing ever since I am going to ask my friends for help again to conquer the double monster arena quests. I'm still calling a March announcement for Western release. Hope MH3U got enough love here in the West for Capcom to bring MH4 over. The series is still a niche, but the fanbase is growing. It would be a dumb move on Capcoms part not to release the game in the west. I know they are greedy barstewards, but keeping western fans from mayor installments would make sure it never gets big here. 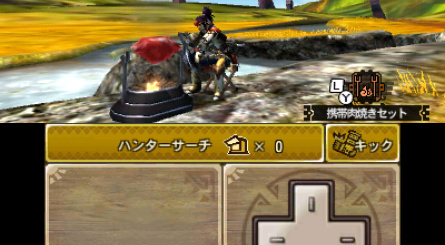 I'm hyped for mh4, but I still have enough to do in mh3u, so I can still wait . This game better get released and marketed well here. There are more than enough MH fans in the west to justify a release. Maybe not as many as in Japan, but it still has a good enough following to make not localising MH4 a crime in the most torturous order. @bizcuthammer You know, I watch very little TV, hardly any but I still saw UK adverts for MH3U over here. So they definitely tried last time. I'm really hoping for localization! Such a shame its not on Wii U . @Windy Forreal? Not one game? Smash? X? Shin Megami Tensie X Fire Emblem? Just beat the single player today after 50+ Hours. Such a fantastic game, really crossing my fingers for localization. @Damo Good, lol. Though I've seen some of the monsters already, I need to keep video watching to a minimum. (I want the new guys to crush me easily, like in Tri. xD) Though I've already seen Ajara and the spider thing, and a couple of the returning monsters. 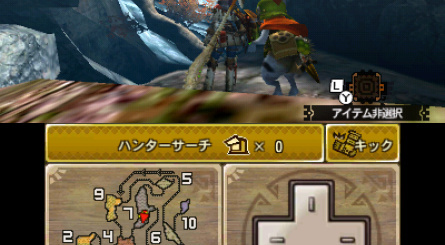 @Volmun I honestly see them doing mh4 for 3ds and MHF on Wii u in the west. 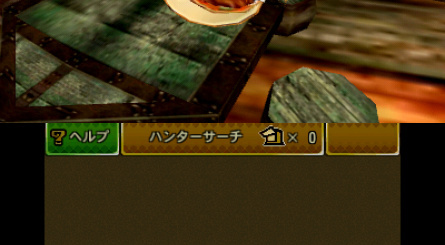 Would probably be the cheapest way to bring MH to both Ninty systems.